In the days of the vinyl long-player it was common for artists to labor extensively over the flow of sides A and B. The record’s atmosphere, mood and energy were all largely dictated by the disc’s running order. Because of this, the perfect side became an artform unto itself; albeit one that flirted with extinction upon the arrival and proliferation of compact discs beginning in the 1980s. The 80 minute CD quickly became the norm and with it arrived a whole other array of sequencing intricacies, nuances and issues. But throughout the various format changes and conversions a small cadre of artists continued to sequence for the individual sides. Last month Megafaun released their second proper full-length, the eponomously titled Megafaun. From the outset of their formation it was clear this was a group that had little interest in staying within the pre-defined lines of any one genre. On their debut EP the trio’s music veered from the 16 Horsepower-like death-howl of “Lazy Suicide” to the harmonic mini-suite of “Find Your Mark.” Over the course of three years and as many releases the band has gradually honed their craft and in turn have developed a highly identifiable sound, one that embraces and celebrates 19th and 20th century Americana and beyond. Continuing where last year’s mini-album, Heretofore, left off, 2011’s Megafaun is the most explicit expression of the band’s growth, dexterity and maturity to date. Here, folk, country, ambient field recordings, jazz fusion, pop and and rock all coalesce into an eclectic brew, a brew none more exemplified than the LP’s A-side. Like all great sides the magic is often found in the pacing and transitions. Beginning with the Garcia-like “Real Slow” the album slides into a west coast canyon vibe reminiscent of the Dead’s lightening-in-a-bottle live work from the early 70s. Fading out to the sounds of laughing water we encounter the first of the album’s stylistic shifts, the polyrhythmic and electronic “These Words” — a song that employs field recordings collected from North Carolina to Bali. The platter culminates in the eight and a half minute “Get Right,” a true slice of vintage Megafaun if such a descriptor can be used for such a young band. If a great side can be defined as the sum total of the whole taking on an added depth from its individual components, then Megafaun’s A-side surely qualifies. Discussion: What are some of your favorite vinyl sides? Chime in below in the comments. abbey road side 2. one of the best, if not the best side ever. I’ve had similar thoughts about the Megafaun LP: while the whole record is solid, those first three tracks are phenomenal, with side one offering a quick (albeit 15 min.) fix–and a good overview of everything Megafaun’s about. As of late, my favorite/most played side has been side 2 of Edwin Starr’s “25 Miles.” One of the best examples of a Motown record with zero filler. If I may include a more recent favorite, I’ll mention the hypnotic second side of the Keys’ “thickfreakness,” which I still think has some of their best stuff. I appreciate a song that can stand on its own as much as the next man, but I do have a deep appreciation for albums that best taken in their entirety. Megafaun’s “Gather, Form, and Fly” certainly fits that bill… I also think Akron / Family do a good job putting out albums like this. I know that in the past you have featured music from The Bats in the past, and I think that the A Side to ‘At The National Grid’ has incredible flow, with thematic elements flowing effortlessly throughout. By the time “Single File” comes around, I am always completely enthralled. Then to cap things off, Pre War Blues. Terrific side! I agree on Megafaun LP, especially the first track. Vinyl really has its charm! Great post! Always something interesting here! The first side of the Vulgar Boatmen’s ‘You and Your Sister’. That album doesn’t get nearly enough love. The 2side McLemore Avenue.Absolutely astonishing. 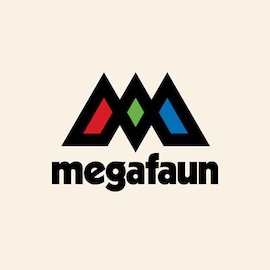 I love the new Megafaun album. The opening has hints of The Doors “The End” in it. Side A of Everybody Knows this is Nowhere. Finishes with Down By the River. C’MON!!!! Paul B, you knocked it out of the park.